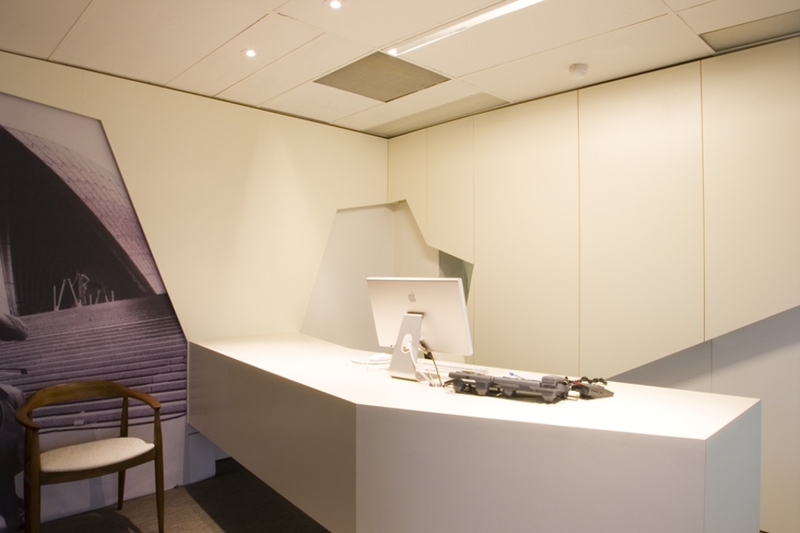 Steensen Varming approached TERROIR in 2005 to redesign their offices. 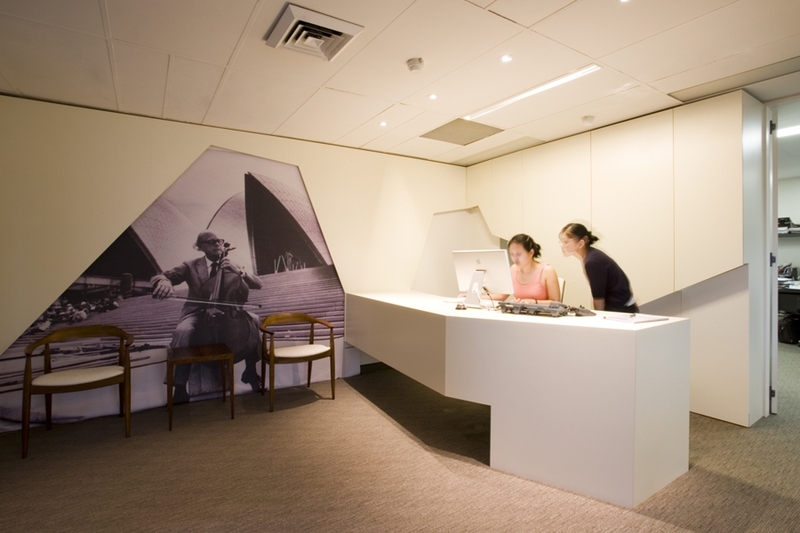 This invitation followed a number of successful collaborations, during which many hours were spent working together in our York Street offices. 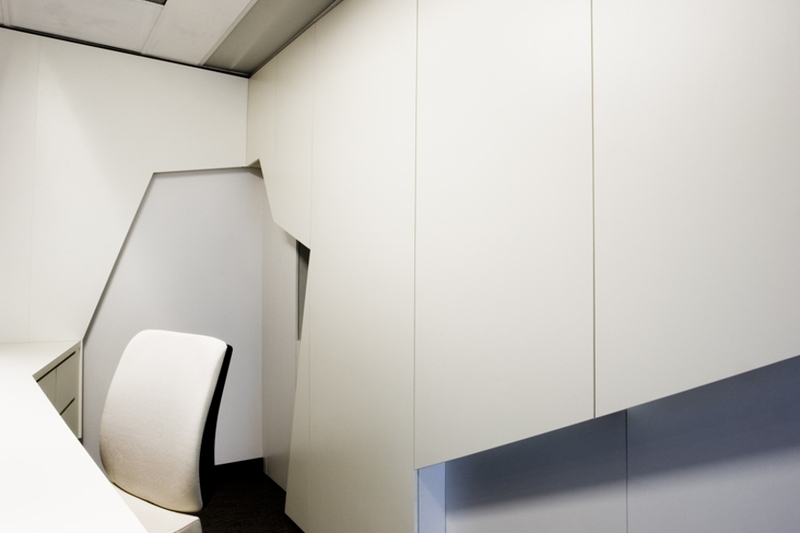 Steensen Varming were interested in the relaxed and informal studio environment in which we work and in how this sensibility could be utilised in their office redesign. 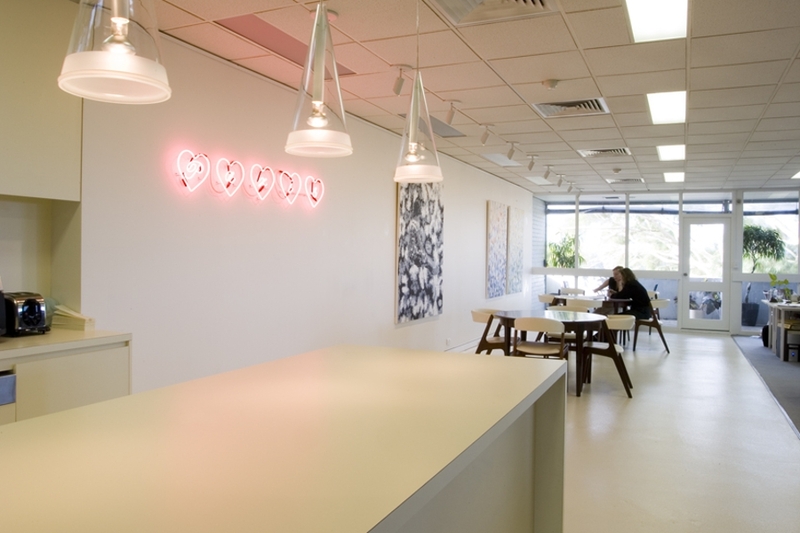 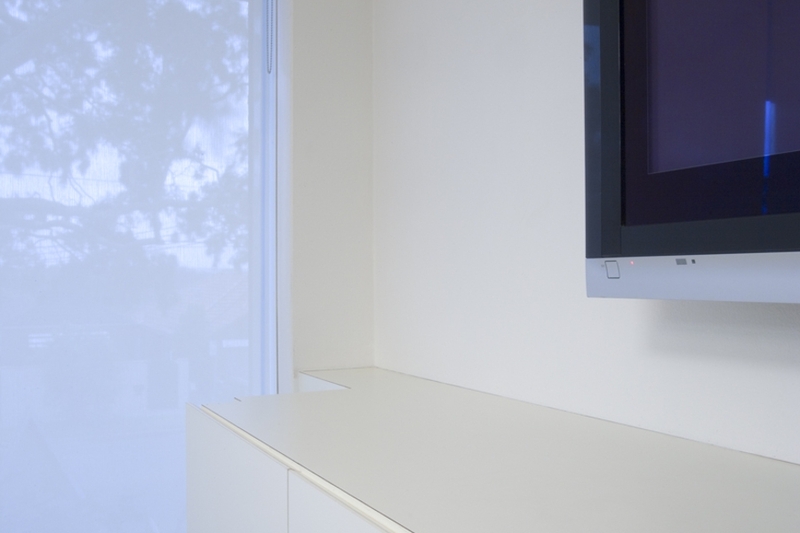 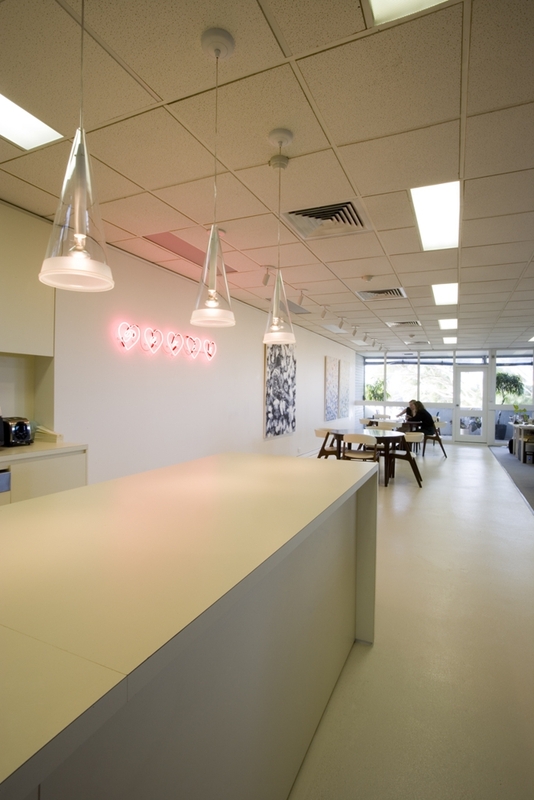 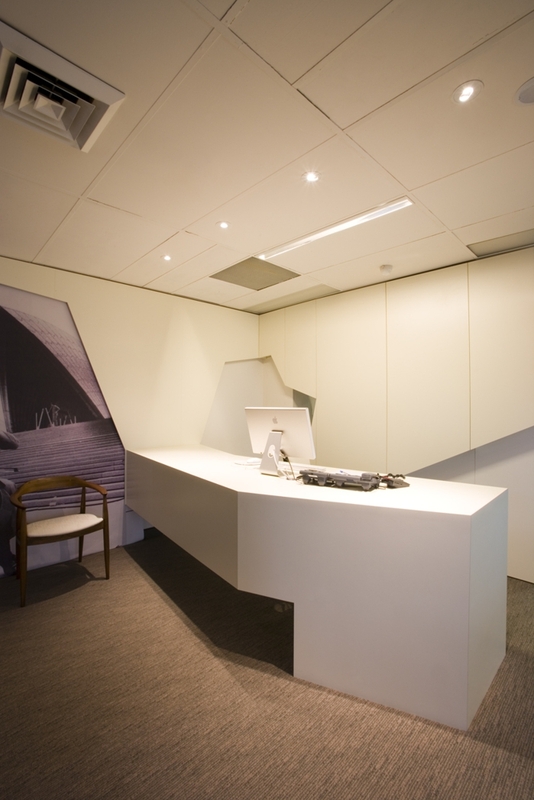 The partitioned office fitout with cellular workstation format was stripped out to create a large single space focused on an end-window view to the trees and distant landscape – a view that was not perceptible previously and which transformed the space. 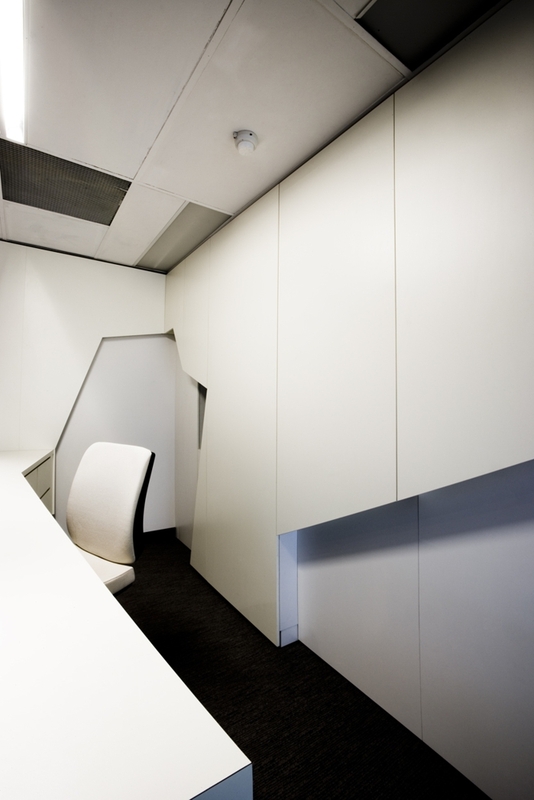 A communication and collaboration space was established along one wall of the tenancy, running the full length of the space and uniting all teams and personnel. 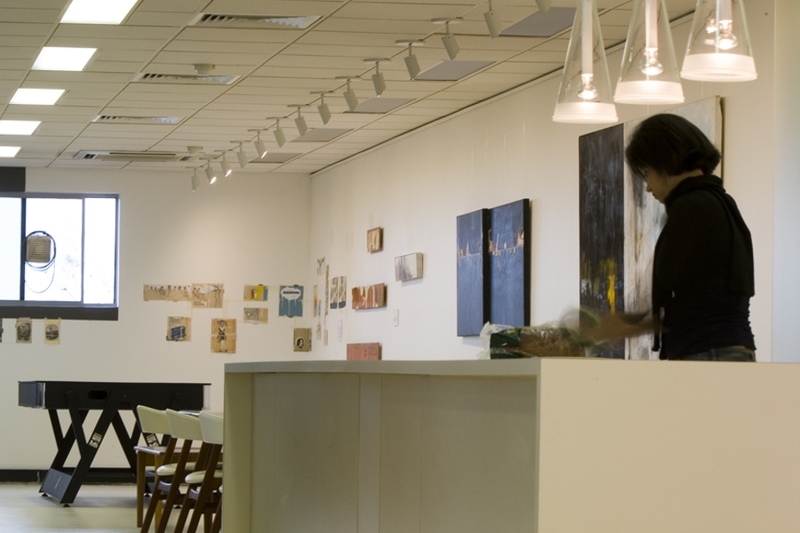 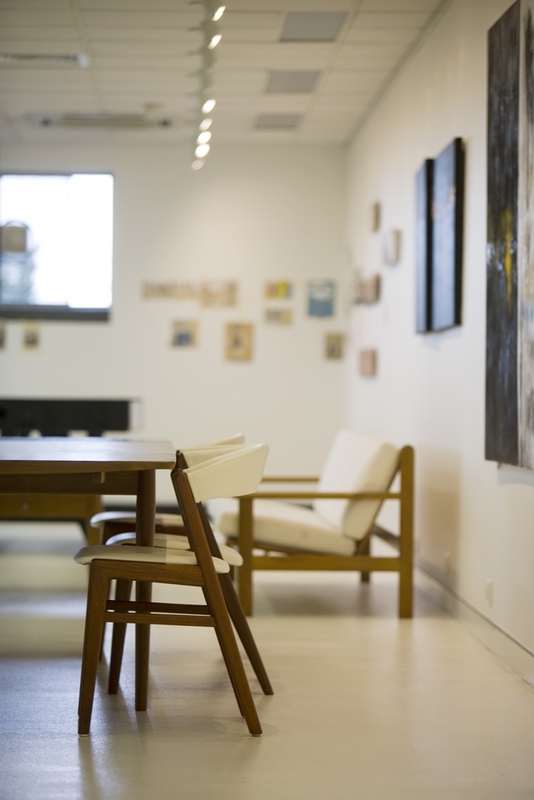 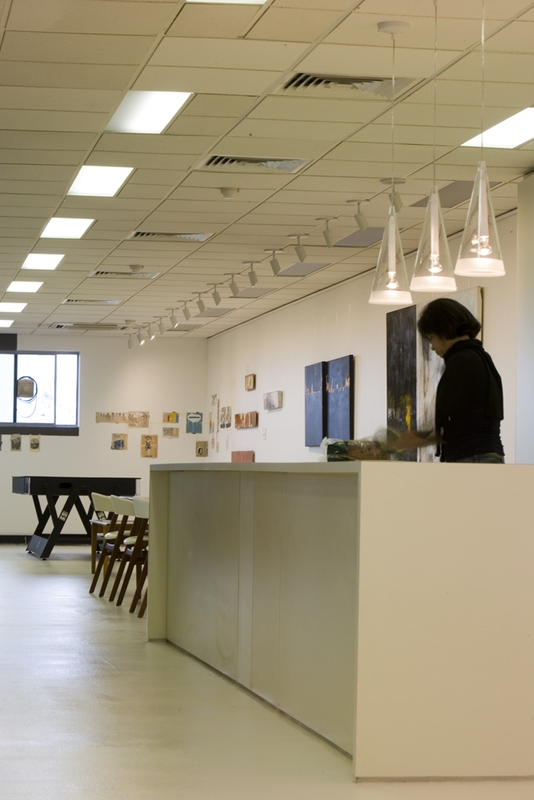 Within this space is contained communal facilities such as kitchen, bar, art gallery and a series of meeting places. 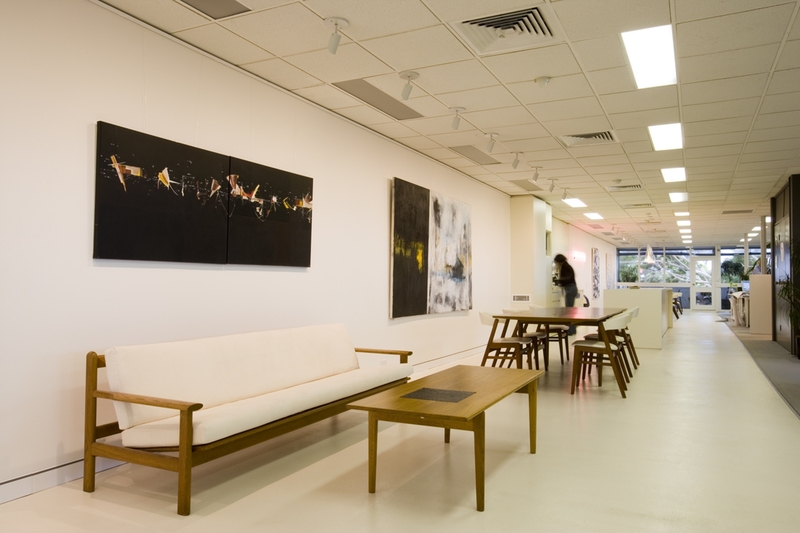 Given Steensen Varming’s awareness of their Danish heritage, TERROIR procured a range of vintage Danish furniture of the era when Steensen Varming first worked in the Australia (on the Opera House). 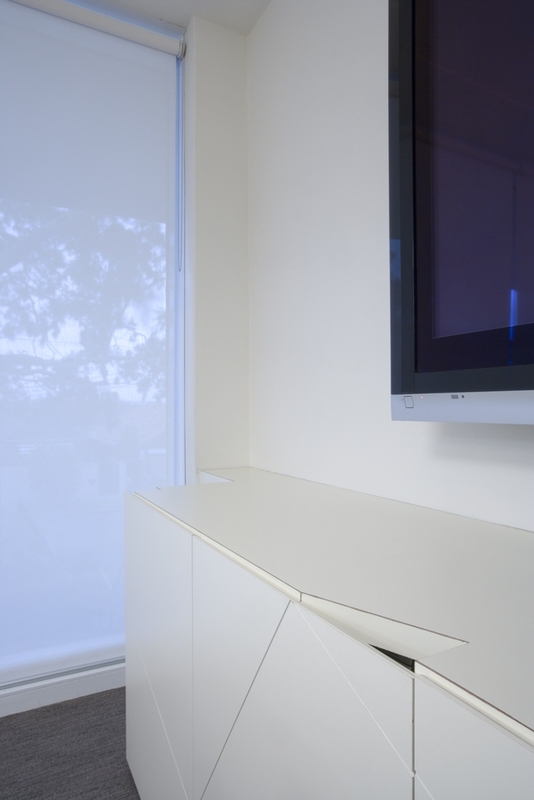 The remaining palette is white and off white to foreground both the external landscape and timber furniture. 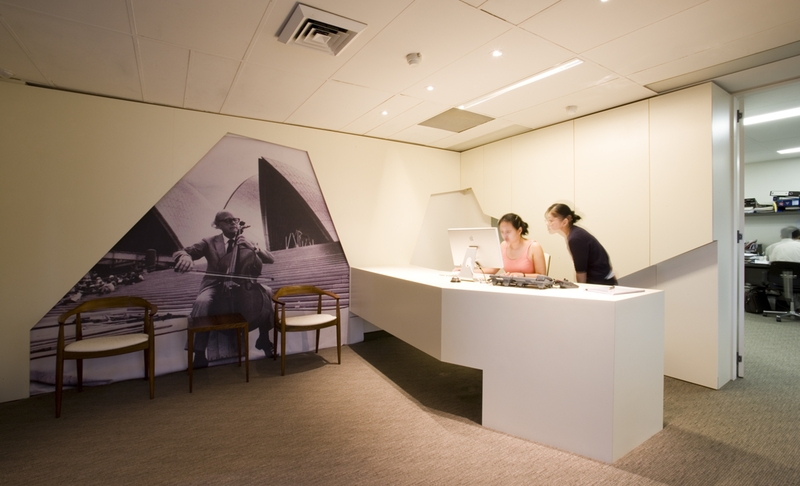 In the lower level foyer a folding wall reveals an image of Varming playing the cello on the Opera House steps – a statement of heritage, culture and ambition which remains embedded in the firm to this day. 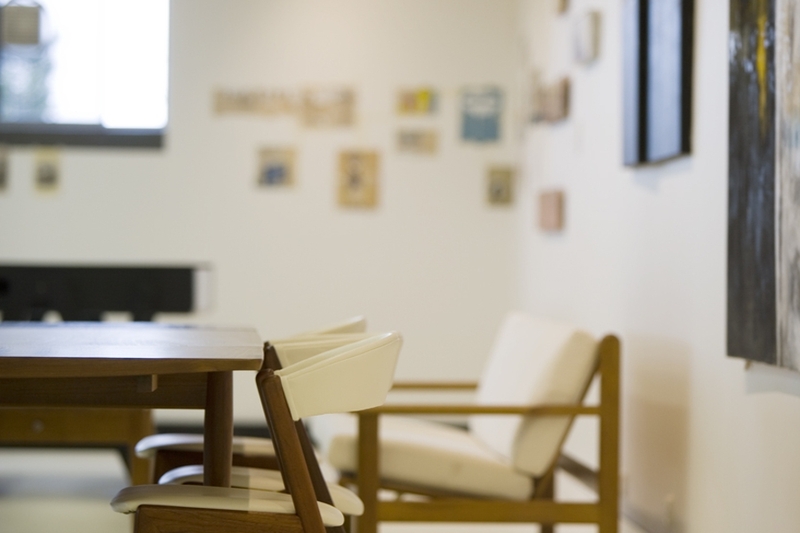 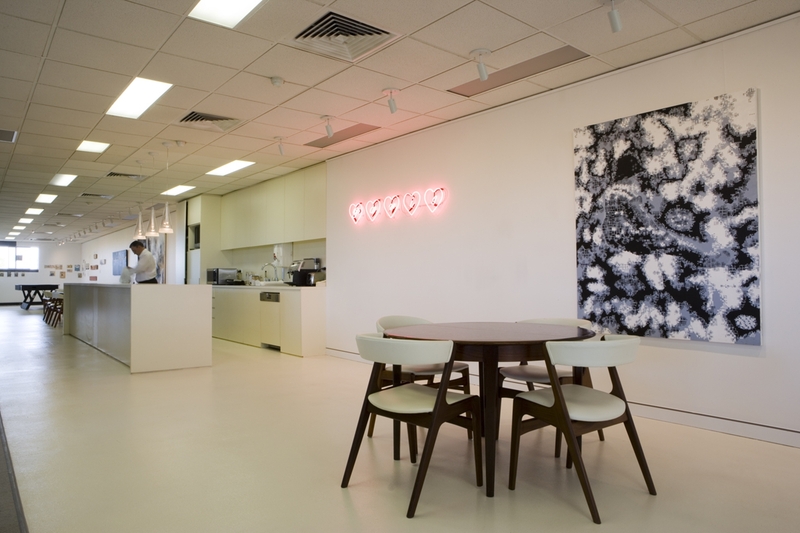 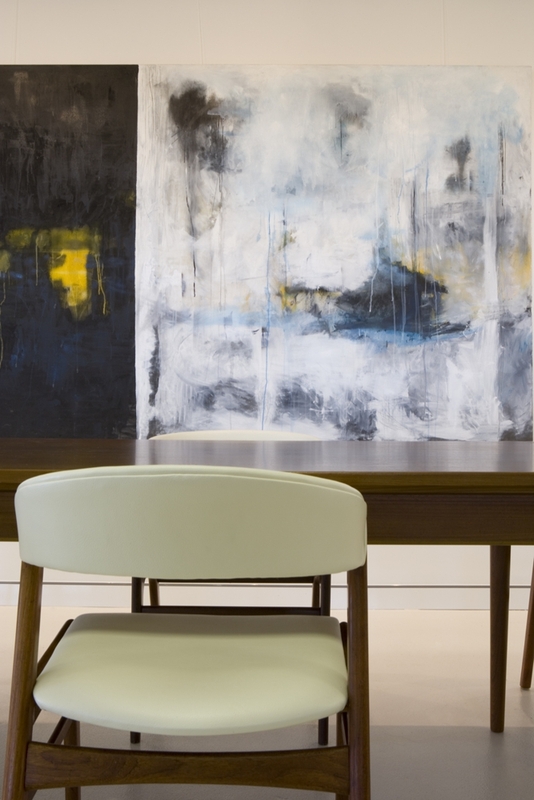 The boardroom contains a tapestry made from a concept sketch for the fitout by Gerard Reinmuth.